Last night’s Showtime-televised triple header from the StubHub Center in Carson, Calif. was definitely a memorable evening. Taking in the action from ringside, three-division world champion Adrien Broner chimed in with his thoughts throughout the evening. In the co-feature, Gary Russell Jr. lost a competitive decision to Vasyl Lomachenko in a battle of former amateur standouts. Having known Russell since his amateur days, Broner told him to keep his head up. “Keep your head up @mrgaryrusselljr go back to the drawing board you fought one hell of a fight. 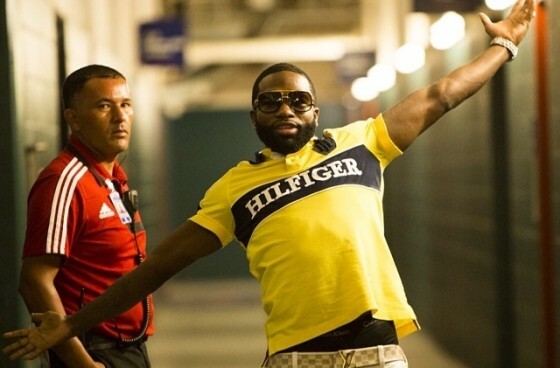 Minor set back for a major come back,” Broner stated via Instagram. While there is no word on his next bout, Broner did mention to Radio Rahim that he was going to be checking out former titlist Robert Guerrero in action prior to his slugfest victory over Yoshihiro Kamegai. Check out the interview below.